Last month, Sprint nixed unlimited data for tethering customers. Now it's capping data for its mobile hotspot users, without grandfathering in current unlimited plans. If you have the option coverage-wise, there's basically no reason to pick Sprint's hotspots over Verizon's now. 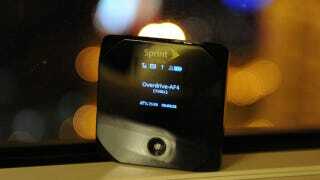 Verizon's 4G murders Sprint's on speed, in our tests and others'. The major reason to pick Sprint over Verizon—if you had the option of Verizon's 4G in your area and had a choice to make, anyway—was for the unlimited data. Now that's gone. Meanwhile, Verizon's LTE hotspots are significantly faster, run at $50 for 5GB per month or 10GB per month for $80, and $10 per additional GB, and don't leave you much reason at all to stick around on Sprint.